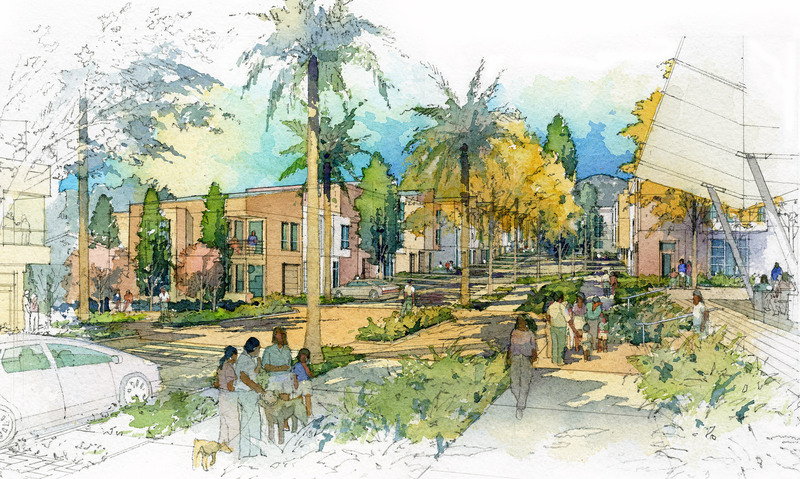 The Balboa Reservoir development will be a welcoming community organized around a large central park with connections to surrounding neighborhoods. 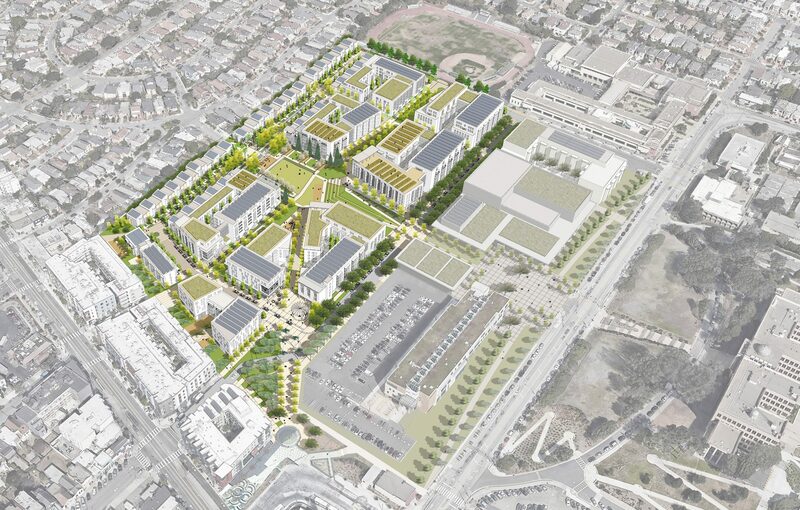 Like the best San Francisco neighborhoods, the Reservoir will be a diverse community serving a range of incomes and household types, with a special focus on families with children and CCSF faculty and staff. 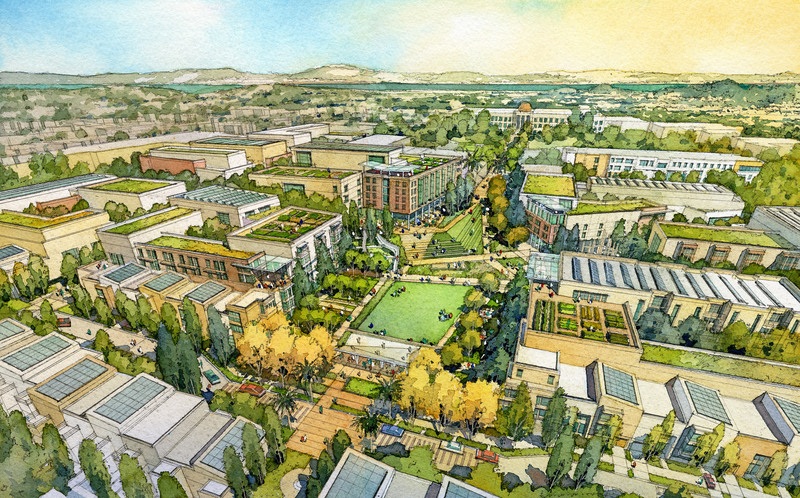 It will also be a deeply sustainable place that prioritizes walking, biking, and the shared stewardship of resources. Most importantly, this community will be called “home” by up to 1,100 San Francisco households, at least half of whom will qualify for affordable/ workforce housing, providing a meaningful impact on the Bay Area’s housing crisis. 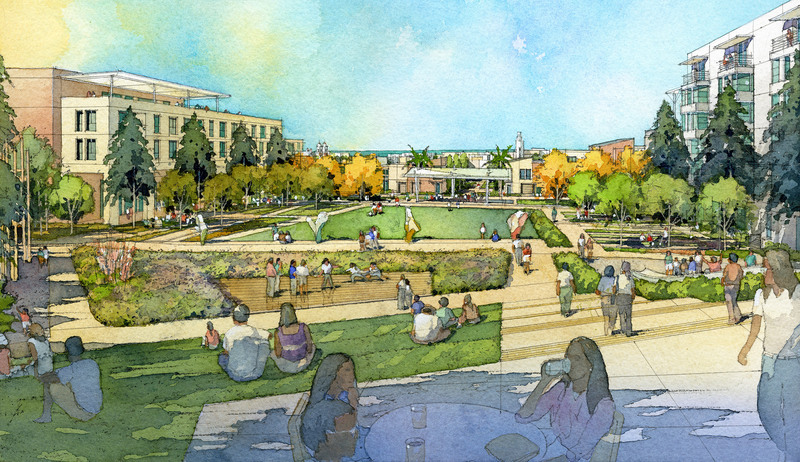 2 acre central green provides an inclusive public space serving the residents and neighboring communities. Prioritization of walking, biking, and public transit through creation of a pedestrian priority zone. Stepped buildings allow for shared views and new buildings to blend into existing nearby neighborhoods. Successful phasing of buildings and open space to ensure central open space is an attractive place to live and a good neighbor during and after implementation. 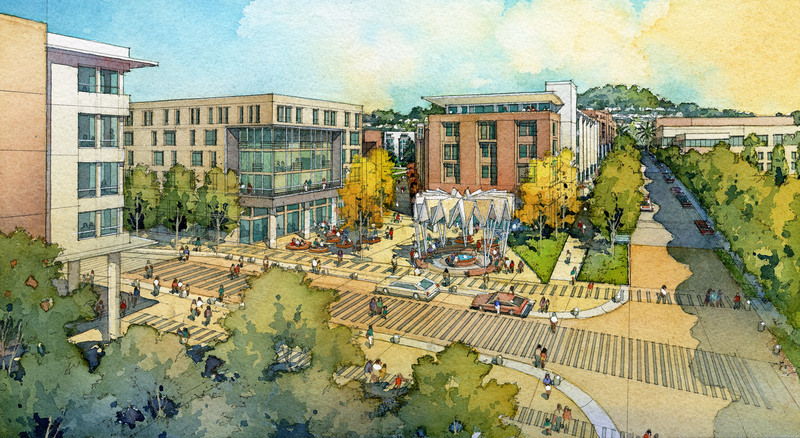 “Gateway” spaces greet visitors and provide shared gathering places between neighborhoods. Vegetated roofs provide additional storm water mitigation, building insulation, & habitats for native species. Storm water collection in rain gardens. Greywater systems in residential buildings. Photovoltaic panels for energy production. Client: Reservoir Community Partners, LLC.